Junior Team : Room 2 STEAM - Can we rescue our keys from the lion enclosure? 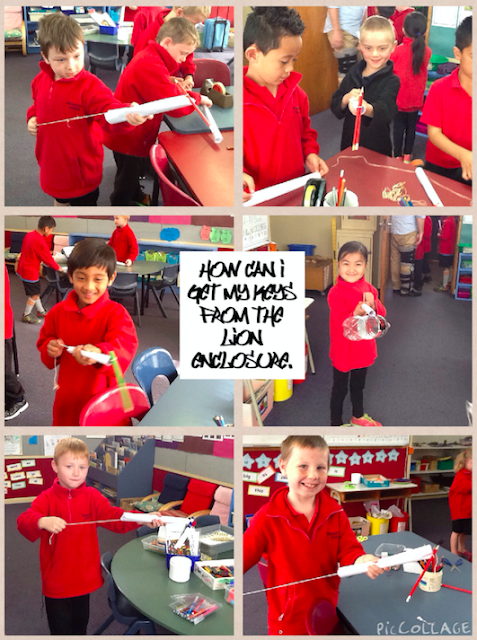 Room 2 STEAM - Can we rescue our keys from the lion enclosure? Today in STEAM room 2 explored the problems with trying to feed the lions or to get your keys back if you happened to loose them in the enclosure. 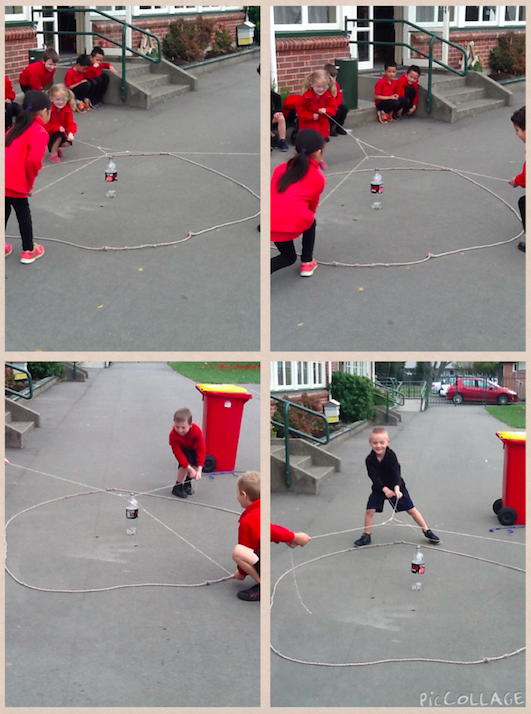 To get our minds thinking we worked as a team to rescue a coke bottle from a dangerous circle of "radio active waste and land mines" by stretching a rubber band using string, lowering it over the bottle and then moving it co-operatively. We then made model "grabbers" using rope and tubes. Next week we are going to make really big ones. I had sp much fun today with Room 2. Thanks guys from Mr Morgan.